A New Job Circular of Bangladesh Air Force has published. The Post Name is MODC. In this content, Bangladesh Air Force MODC Job Circular 2019 details info is available for you. The Application Process is ongoing and the Last date of Application is 14 May 2019. The Exam of BAF Job will start on 15 May 2019 and continue till First August 2019. 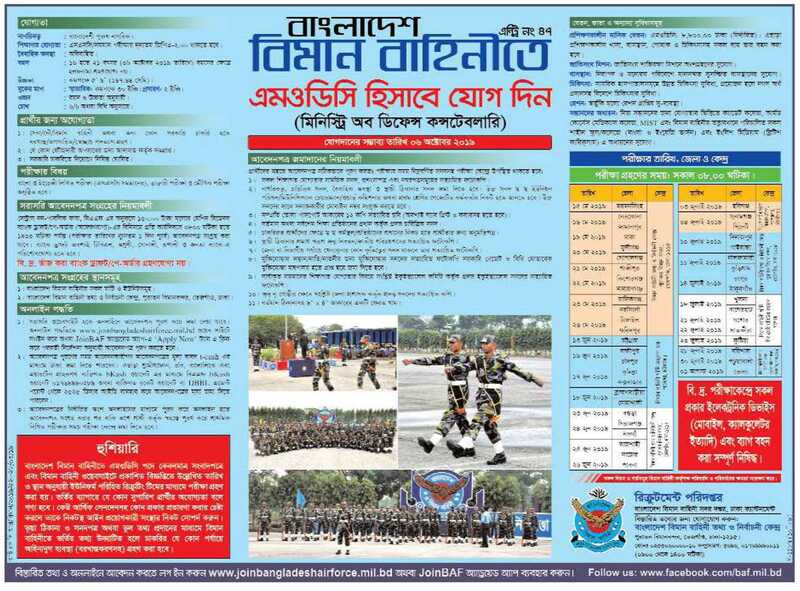 In the Circular, Exam Schedule of Bangladesh Air Force Job 2019 is available. District wise Exam Schedule is available on this Content. The Exam Date of All-District isn’t similar. So, check out your Own District Exam Date from the below. Here is the Official PDF Circular is for you which can read for understanding Deadline, Schedule, Application Process, Application Fee Payment and other Instruction. In this section, we have added the Official Job Image. 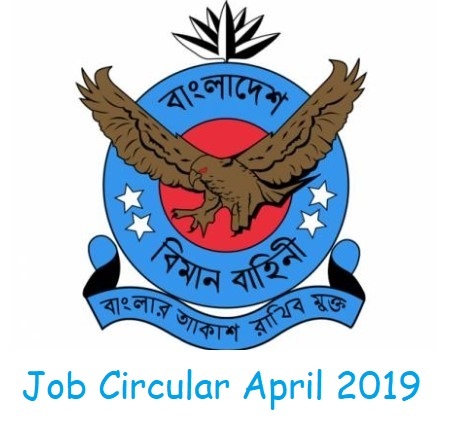 Download BAF Job Circular April 2019. After downloading, apply to this Job Circular via Teletalk Prepaid Mobile Phone. PDF File can Download from here. If you don’t have the Teletalk Prepaid Mobile SIM Card, You can Apply from other Mobile Phone. Just use your Active Mobile Number as Contact Number during Application Submission. All other Latest Government Job Circular of Bangladesh is also available on this website under Government Job Circular Category.